On any given night, there are more than 40,000 homeless individuals and families in Los Angeles County, and the numbers continue to rise. Next to comparably sized cities, the cost of living here is among the highest, yet Angelenos earn less income. Our donors have a long history of supporting critical, immediate needs for the homeless, such as soup kitchens and shelters, but these safety net organizations are struggling to meet growing demand. We know the solution that best addresses homelessness: housing. 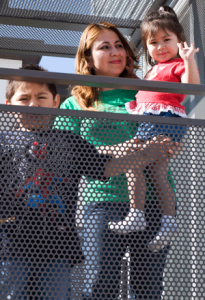 CCF has a long-standing commitment to increasing affordable housing in Los Angeles. Today, we are working with partners to create a viable strategy that will more than triple the annual production of permanent supportive housing units for the homeless in Los Angeles. To truly make an impact on homelessness in L.A. County, we must address both immediate and long-term needs. CCF provides resources to our nonprofit partners working on the ground to help the homeless access the emergency shelter, food and services they need today. We also invest in longer-term solutions to accelerate the production of permanent supportive housing, which combines housing with mental and physical healthcare and social services for chronically homeless individuals. To support the Home L.A. Fund and help ensure that all Angelenos have safe, secure homes and the services they need to thrive, visit calfund.org/homela. This is part of a series of Giving Season posts to inspire generosity and positive change in Los Angeles County.